From now until November 19, you can preorder your tree for delivery in late November, and you even get to choose between a balsam fir, a black hill spruce, or a fraser fir (the correct choice, for the record). 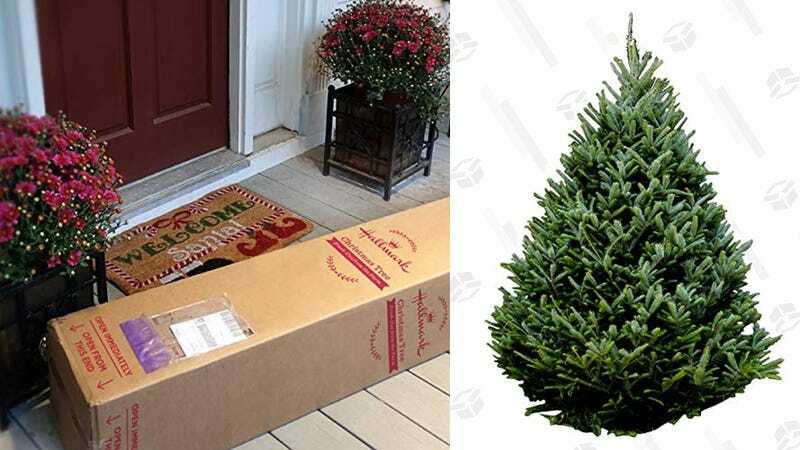 At 6'-7', they’re not as big as some trees you’ll find at stores or tree farms, and at $100-$110 (or $60 for a 3-4' mini tree), they’re quite a bit more expensive than comparable trees you’d buy in person. But if you don’t have the time or the means to transport a needle shedding, human-sized plant across town, the convenience of one-click ordering may trump those considerations.